You dream of a luxurious and deeply meaningful wedding ceremony, and Secrets Vallarta Bay allows you to make that dream a reality! Weddings at Secrets Vallarta Bay are deeply romantic, of course, but also fun for couples and guests alike. 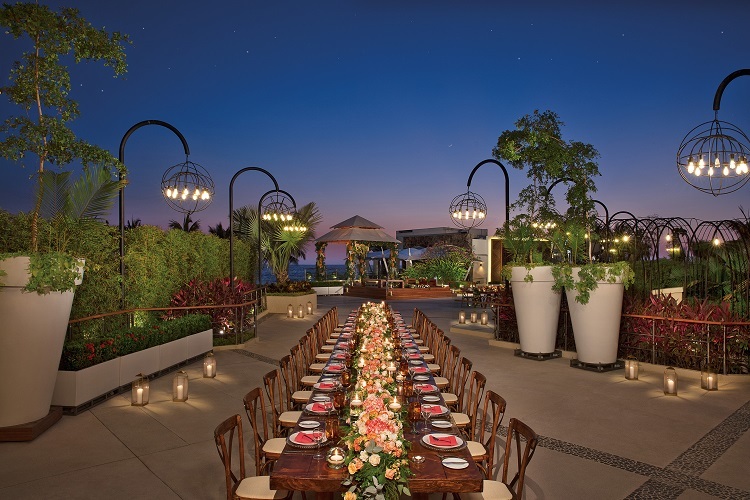 Secrets Vallarta Bay offers a variety of Mexico wedding packages designed to elevate the destination experience. The Wedding in Paradise package is a top option for those on a limited budget; some couples are even able to score this as a complimentary package. This option ensures that couples look their best — wedding attire is carefully prepared and ironed prior to the ceremony. Additionally, you and your sweetheart will receive a gorgeous bouquet and/or boutonniere. The Secrets of Love package amps up the wedding luxury with several sophisticated details. With this package, up to twenty guests can enjoy a private cocktail hour followed by a dinner reception. Professional photographs taken during the ceremony are featured in a complimentary wedding album. With Secrets Ultimate, elegance is guaranteed. This package adds live music to your cocktail hour. Later, you’ll enjoy an exclusive couple’s spa treatment, as well as discounts on all other spa services. All Secrets Vallarta Bay packages come with the convenience of wedding planning and an on-site coordinator. Why stress about your Big Day when you can rely on an expert’s guidance? 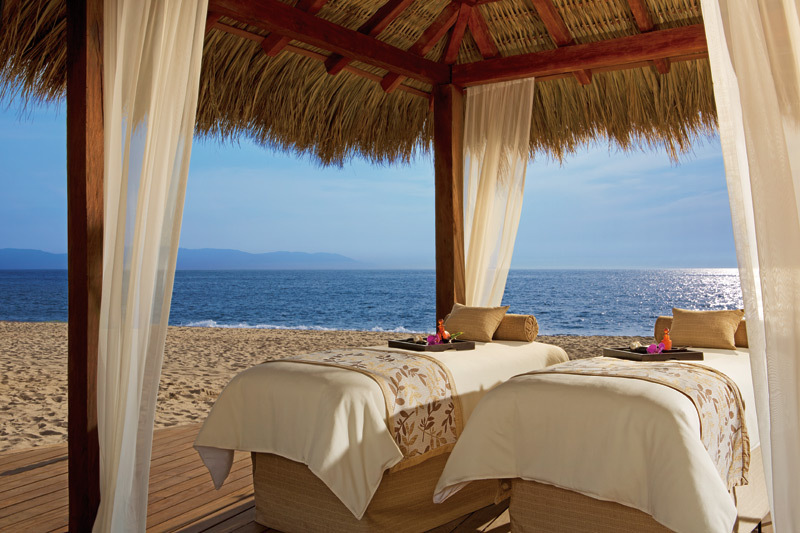 In addition to destination wedding packages, Secrets Vallarta Bay boasts several other romantic offerings. 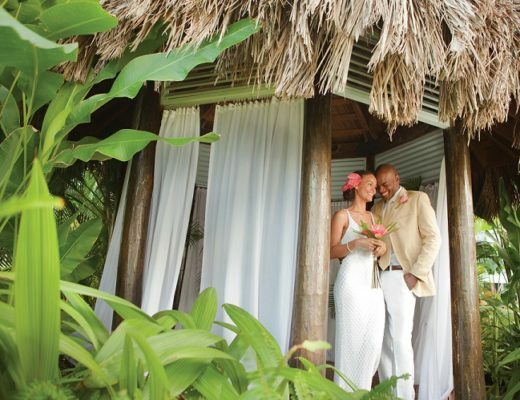 The resort is the perfect setting for your honeymoon, anniversary getaway, or even your proposal! 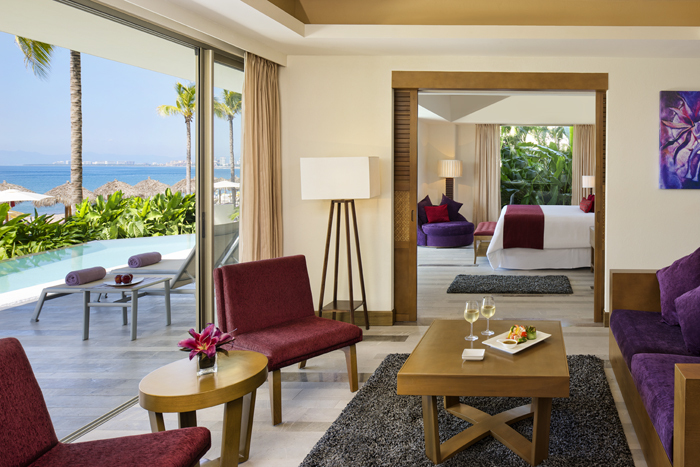 Refined accommodations make every moment at Secrets Vallarta Bay a joy. 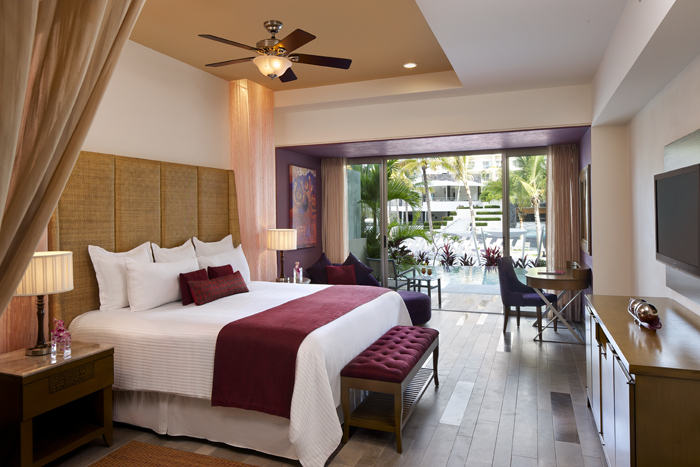 When you’re not grabbing drinks at the bar or lounging by the pool, you’ll be relaxing in your comfortable room or suite. Several of the resort’s finest accommodations provide stunning views of the ocean; others overlook lush gardens. Swim out suites offer instant access to the pool. Preferred Club suites provide additional luxuries, such as whirlpools and solarium’s. Whether you and your wedding party dream of relaxing in the pool or getting your heart racing with outdoor activities, you’ll find plenty of opportunities to pursue your idea of vacation perfection. Experience new thrills with horseback riding, archery, or jet skiing — or find your inner peace with yoga classes in the fitness center. 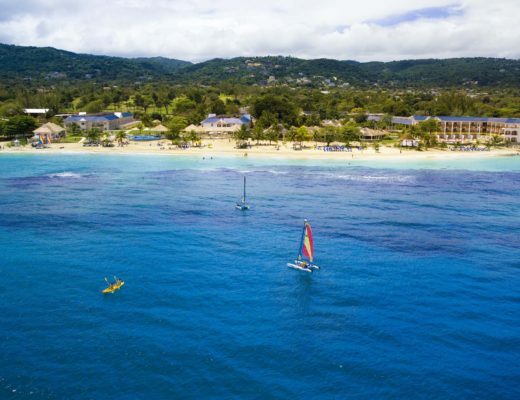 A variety of non-motorized water sports allow you and your sweetheart to make the most of the beautiful beach setting. In the evening, you’ll want to hit up the resort’s casino, where you and your loved ones can enjoy use of seventy slot machines or a variety of electronic game tables. If your idea of a good time involves lights and glamour, you’ll appreciate the shows hosted at the open-air theater. A variety of themed parties are held at the resort, so don’t hesitate to get involved in the action. If you desire a relaxing nighttime experience, enjoy a movie on a big screen at the beach! 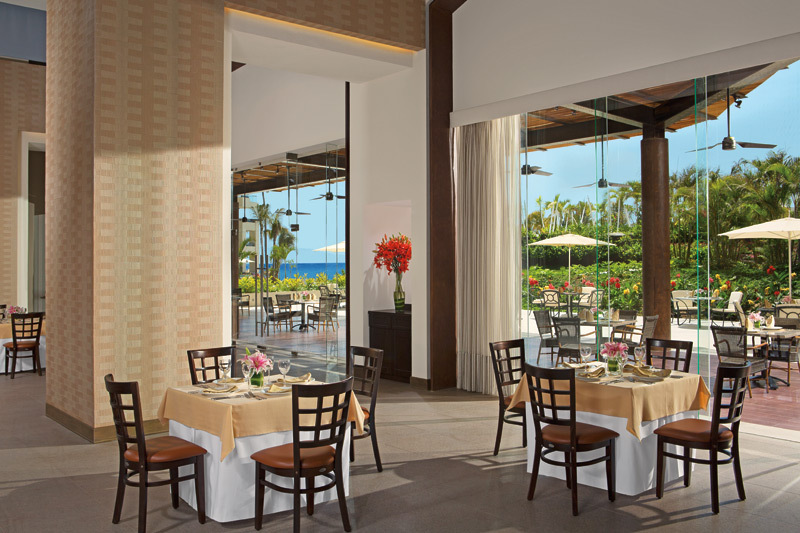 Cuisine is a clear priority at Secrets Vallarta Bay, where you and your guests will sample a variety of dishes and drinks. Hit up the Barefoot Grill during the afternoon for a satisfying meal. In the evening, you’ll find gourmet French cuisine at Bordeaux, or your favorite Italian dishes at Capers. 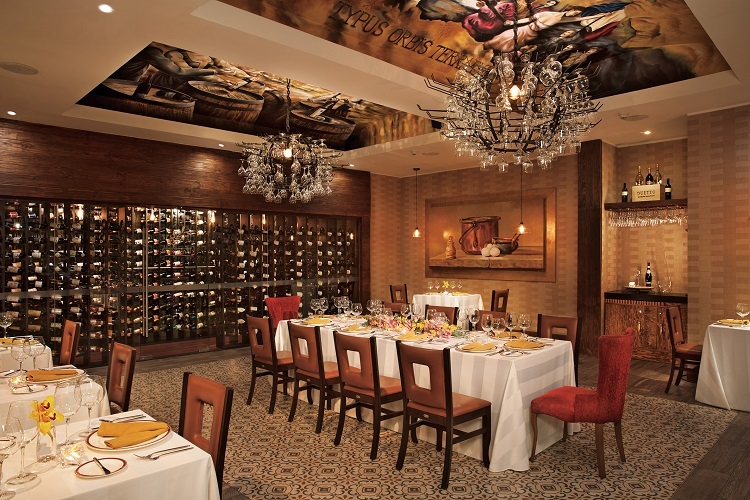 Either restaurant provides the perfect ambiance for your rehearsal dinner. If you crave an iconic destination buffet experience, you’ll adore Carnival, which offers a variety of breakfast, lunch, and dinner entrees. Grab a late night snack at Coco Café, which is open 24 hours a day. When you’re not exploring international cuisine, you’ll be sipping on an expertly crafted drink featuring top-shelf liquor. 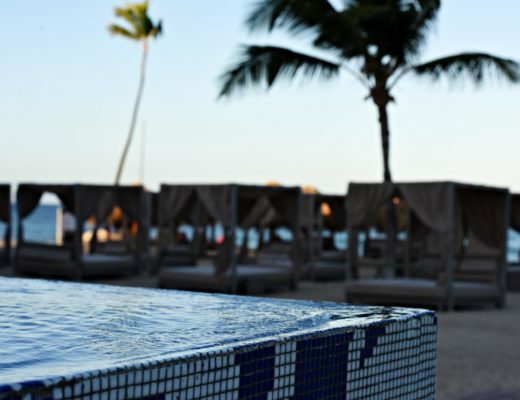 Order your favorite beverage at Rendezvous or grab a drink from the poolside bar. 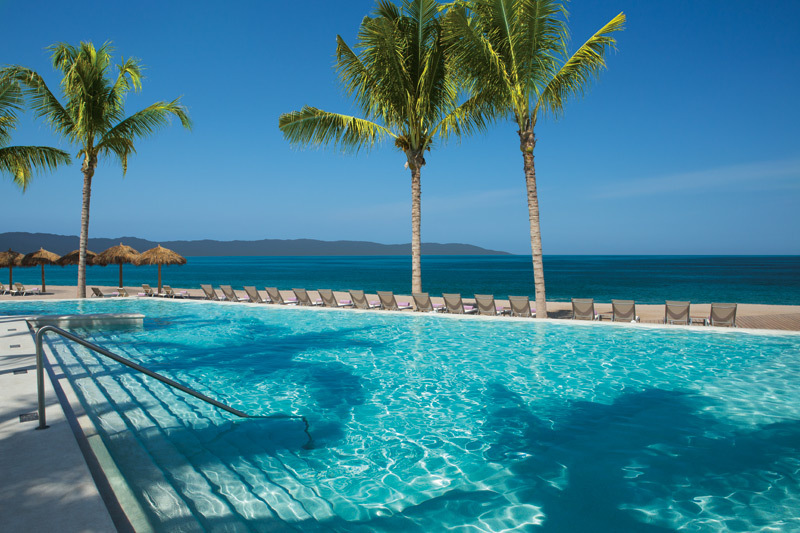 You don’t even have to leave the pool —you can use the swim-up bar! 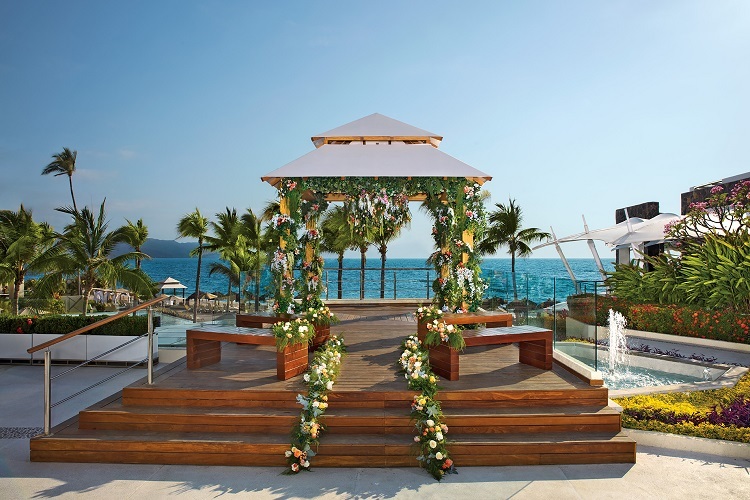 Memories of your destination wedding in Mexico should put a smile on your face long after you say ‘I do.’ Book your special day at Secrets Vallarta Bay; you’ll love everything about this stunning all-inclusive resort.